Home Unlabelled Did You Know What Is In The Water We Drink ? 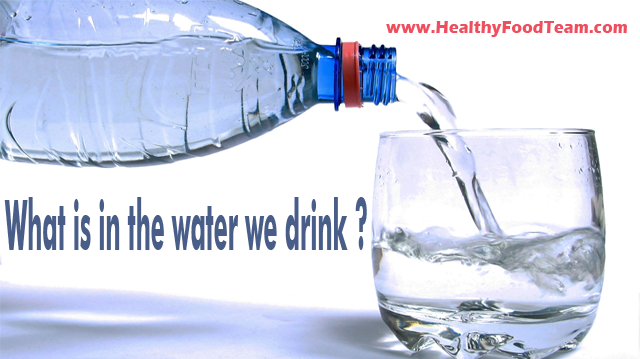 Did You Know What Is In The Water We Drink ? Bisphenol A in plastic bottles, flavored water with artificial flavors, irregular washing of the bottles… it all makes bottled water an unhealthy drink. Water is one of those things that we just assume that is good for us in every moment and in greater quantity. While the majority of people in developed countries are having drinking water, it cannot be taken for granted in all countries. According to the World Health Organization, each year more than 3.4 million people die due to poor water supply and poor hygiene standards that lead to diseases and infections. However, even in developed countries, problems emerge daily with drinking water. Some studies show that bisphenol – found in some plastic bottles with water may build up in the food and drinks, and thus they pose a risk to the health of infants and children. Fortunately, the market availability of these bottles is too small, but also be cautious with the plastic items that contain bisphenol A, it can keep unwanted chemicals when the plastic is exposed to the sun or washed in a dish washer. Multiple use of the bottle is economical and ecological alternative in comparison with the one-time use, but you must keep the bottle clean. Bacteria love warm and moist places, so recharge the bottle without having to wash it is welcoming for them. Regular washing in hot water with detergent and thorough drying of the bottle keeps the germs out. Shower is a fertile ground for bacteria, so people with weaker immune systems may be at risk, writes Page Health.com. Make yourself a favor and don’t drink straight from the shower. Avoid these artificial sweeteners and just add a piece of fresh lemon. Caffeine improves memory and concentration, but when you add it in water as some manufacturers do, it can easily be overdone. Caffeine enhanced with H2O may quench your thirst, but you can easily become irritable and restless by excessive consumption of it.